In September 2018, The City of Providence hosts this 4th annual event. More than 6.4 million Rhode Island oysters were sold for consumption in 2013, according to the Rhode Island Coastal Resources Management Council’s (CRMC) 2013 Annual Status Report on Aquaculture in Rhode Island. Local growers raked in more than $4.3 million and employment by farm workers grew by over 20%. The number of aquaculture farms in the state has increased from 37 in 2010 to over 50 in the last year. This sector of the Ocean State's economy is only now beginning to realize the potential this sector can, and will have, for years to come. Rowan Jacobsen, author of A Geography of Oysters: The Connoisseur's Guide to Oyster Eating in North America, may have summed up the region's oyster industry best when he stated: "We can thank the jumbled geology of Massachusetts and Rhode Island for the amazing variety of oysters found there. As the area awakens to the glory of its local oysters, more and more growers are investing the time and energy to grow premium oysters, knowing that the market will reward them. Quite a turnaround from the DOA status of the New England industry just decades ago." Together, let's help sustain this important and lasting legacy by supporting our local oyster farmers and their ecosystem, Narragansett Bay and its estuaries! The Ocean State Oyster Festival's goal is to help honor and preserve this legacy. (in partnership with Save the Bay). 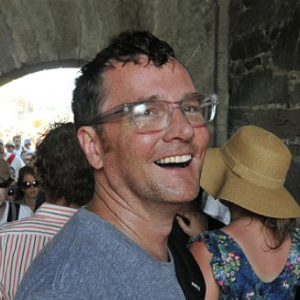 He has served as an adjunct faculty member at RISD's Industrial Design department, and currently serves on the faculty of New England Institute of Technology's (NEIT) Engineering department. In 1992, Don founded Providence Machine and Tool Works with a focus on product development and design, fabrication and prototyping. In 2010, he founded WIT Design with interest in combining art and industry. He is presently developing rugged touch screen computers that have been deployed in law enforcement vehicles including North Providence Police Department and the New York State Police. 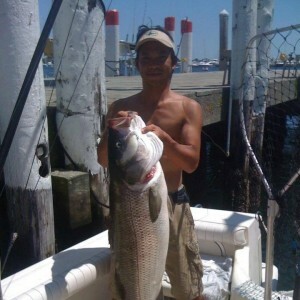 Don is also an avid fisherman and lover of Narragansett Bay. Native to the great state of Rhode Island, Frank is an editorial photographer and designer. By day he shoots, does production, and web work at the Alumni Magazine at Brown, also for various publications and organizations throughout RI. Frank has an undying love for the city of Providence and the state as a whole, likes the color blue, live music, old Volvos, and traveling. He is seriously considering getting a dog, and of course, loves oysters. Growing up commercially lobstering with his dad, uncle, and brothers, Dave spent no less than fourteen summers working off the coast of Block Island. For five winters after college he packaged squid and caught scallops and ground fish with his brother Chris on the boat Karen Elizabeth. 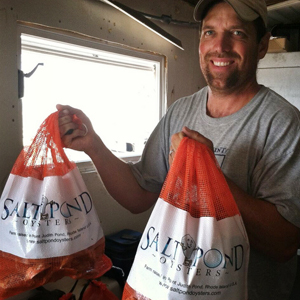 In 2002, Dave started Salt Pond Oyster Company and has been growing oysters ever since. In 2012 he bought a truck, called it the Shuckin' Truck, and has been selling his oysters and family's catch, preparing unique and creative seafood dishes such as scallop rolls, lobster tacos and fish tacos, along with fresh salt pond oysters and littlenecks. Here's looking forward to seeing you at OysterFest! activities for kids, culinary exhibitors, and a shucking contest! We’re tented, so event is RAIN or SHINE. and compost all waste and oyster shells for reef building.